No, this isn’t another post about the economic woes in newsrooms. It’s a tip of the hat to Robert Courtemanche, who teaches high school journalism near Houston, Texas, and runs the blog TeachJ. 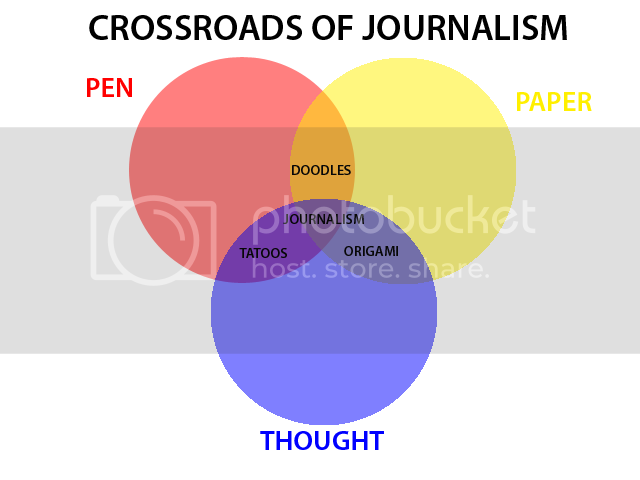 He was inspired by another blog to create this graphic (we used to call these Venn diagrams, I think). Robert’s comment: scary how close journalism is to tatoos! Thanks for the mention. Your blog is also on my must read RSS list.